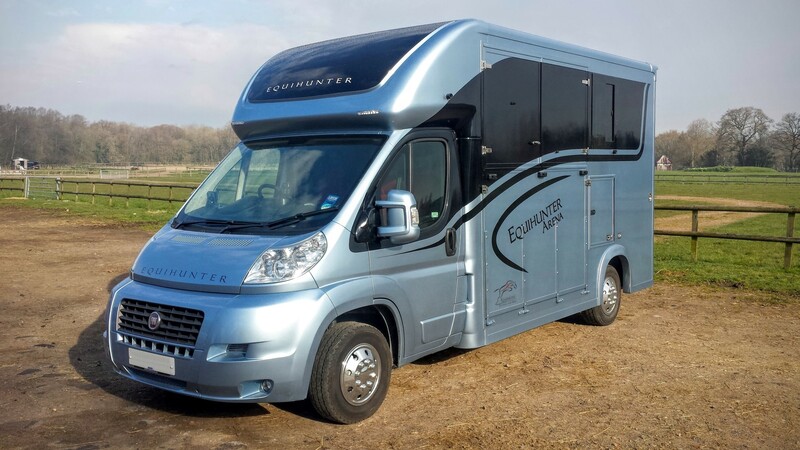 Equihunter manufacture luxury horseboxes that offer a superb level of modern styling and comfort, and that are equipped with the finest choice of fixtures and fittings available. The results are feature-rich vehicles that offer the ultimate in style, comfort, and safety for you and your horses. We have been building horseboxes for over 20 years. We focus on leading edge design, forward thinking and ahead of the competition but are also practical and cost effective. Our team includes specialists in fabrication, mechanical and electrical engineering as well as traditional coach building skills. Their talents mean that our boxes are both highly practical and set the standard for luxury and features. As well as our factory in Yorkshire we have a sales base at Felbridge Show Centre in West Sussex near to Gatwick airport from where we provide support to customers across the country. Our range covers 3.5-tonne horseboxes, built for payload and strength, larger models in the 3.9 to 4.5-tonne range, plus 7.5 to 12-tonne lorries. 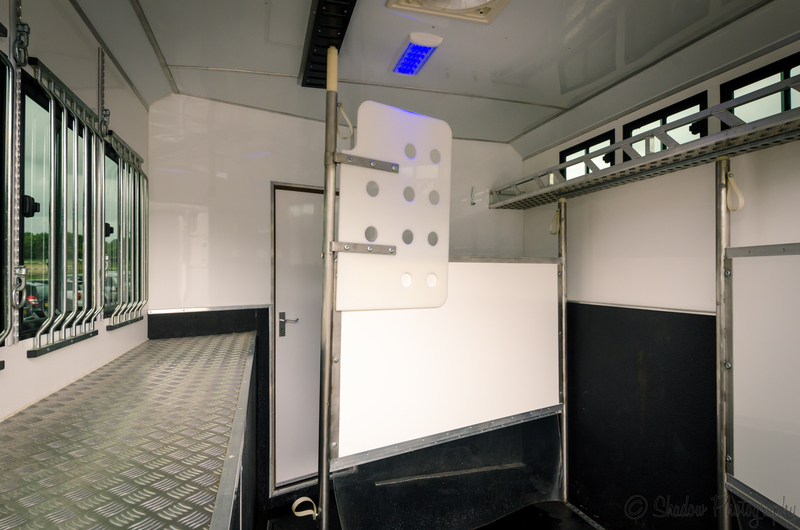 All our horseboxes are designed to the last detail, are built to last and are exceptionally stylish. 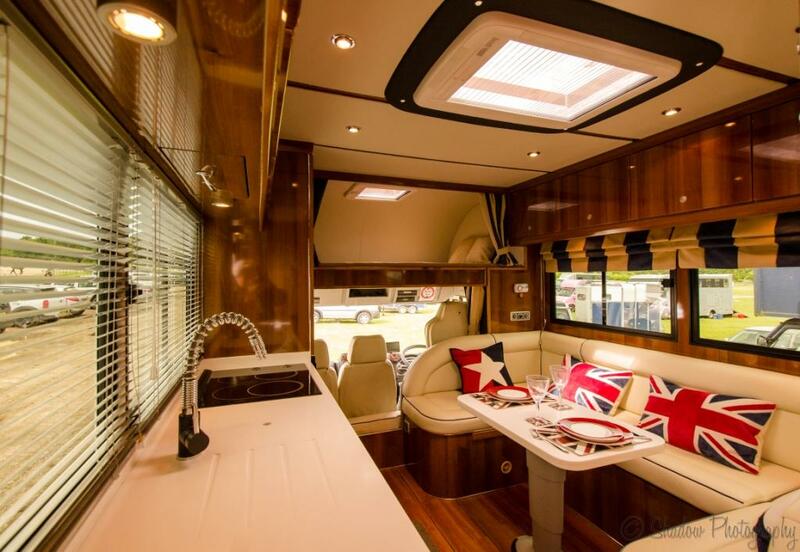 Step inside one of our horseboxes, like the 7.5-tonne Endurance, pictured below, to fully appreciate the heady mix of cherry wood fittings and sumptuous real leather upholstery, with piping in contrasting but complementary colours. It’s a home from home during your extended stay-away shows. With LED down-lighters set in a padded ceiling inset with wood trim plus under pelmet lighting all separately switched. Do you need to fund your next horsebox purchase, we can offer finance options on all of our vehicles. Just click below for more information…. 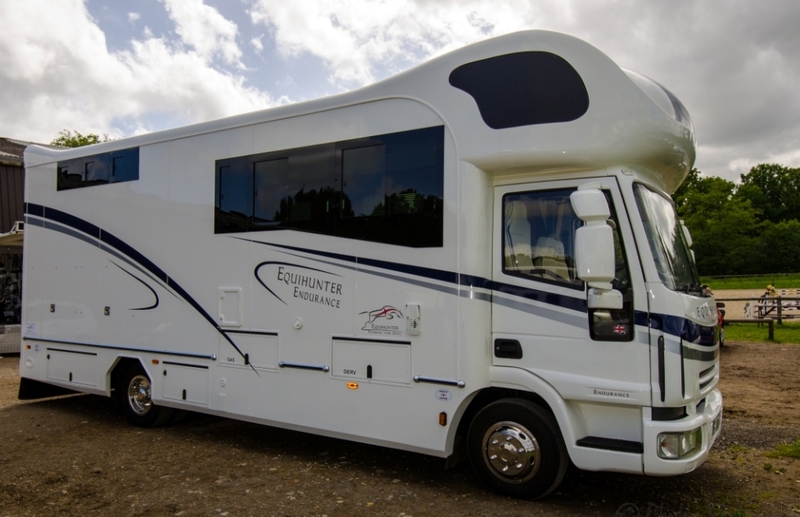 Finance provided by the UK leader in horsebox finance…. The living and horse area windows are made in a continuous effect, using a frame-less bonded glass system, complete with full tinting for additional privacy and to add that look of luxury. On the inside the windows in the seating are have Roman Blinds fitted that match the Italian leather upholstery used. There are also fully adjustable Venetian Blinds fitted to the kitchen windows. Above the living area, high quality lighting is provided by down-lighting LED fitments. The living area is designed to be a home from home, and a refuge from the busy day of competition. The spacious sleeping arrangements are designed to accommodate four adults and with a fully fitted kitchen, you won’t need to compromise at meal times. There’s also gas fired, blown air heating that also has a cold air settings for summertime, thus year round comfort is guaranteed. Combine these features with hot and cold running water and a separate shower room with an electric flush toilet and sink with hot & cold water and you can freshen up after the days events. There’s entertainment for the evenings as well, when you and the family can enjoy quality time relaxing in front of the pull down flat screen TV with Freeview and integral DVD player. As an optional extra a full satellite TV can be fitted as an alternative. A selection of classic games consoles of your choice can also be supplied for the younger members of the family, choose from games units such as the X-Box system from Microsoft or the Nintendo Wii console. There’s a feature rich area for your horses. The ramp door has twin springs (an electric ramp option is also available**) for ease of closure and is covered with heavy grade ribbed rubber flooring. Other features include…. Three spacious herringbone stalls with fully adjustable partitions. We utilise either Iveco, DAF or Mercedes-Benz chassis’ as a base for our construction. These sturdy and robust models are the most popular types in use for equine transport vehicles. Our stylists have created an all new look for 2013. This includes a totally redesigned luton cab area with aerodynamic styling. Our construction techniques employ the use of lightweight aluminium materials, creating a framework that incorporates a full alloy under bed construction with lightweight insulated panels to the vehicle sides and roof. There is a full depth and width underfloor storage area that is accessible from both sides of the vehicle. Multiple extra storage, saddle and tack lockers complete the very best use of space. The menu at the top or bottom of this page will provide you with a full description of the models we manufacture, the on-board equipment types and levels, plus our standard pricing and available optional extras. See pictured to the left the spacious lockable double-doored saddle locker with triple saddle rack, this strong stainless steel rack swivels out for easy loading and unloading of heavy saddles. 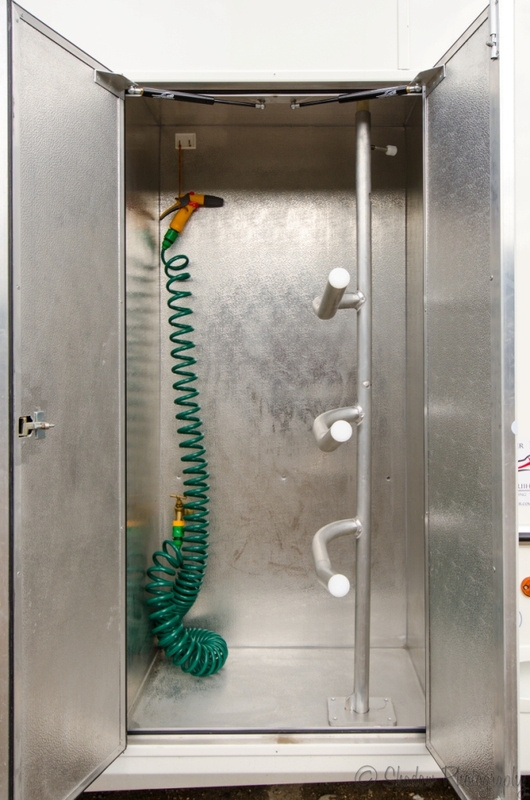 Next to this rack is the horse shower that electrically pumps fresh water where needed via the coiled hose with spray attachment*. Please email any enquires you may have to our sales team here….